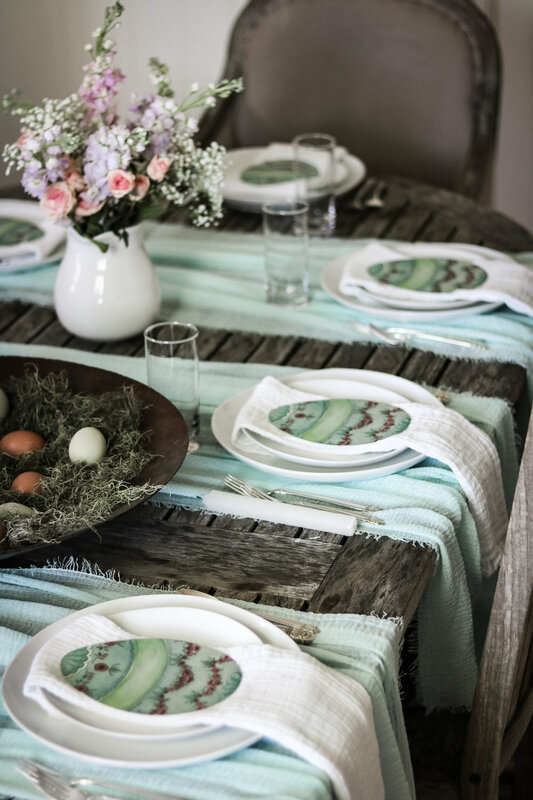 Today I am sharing with you my two favorite finds for your table this Easter season. Let’s start with these beautiful table accent eggs from Hester and Cook. I mean, simply adding these to your table will make it stunning. Hester and Cook is a local paper goods store here in Nashville, but their products are available online on their site as well as Amazon. 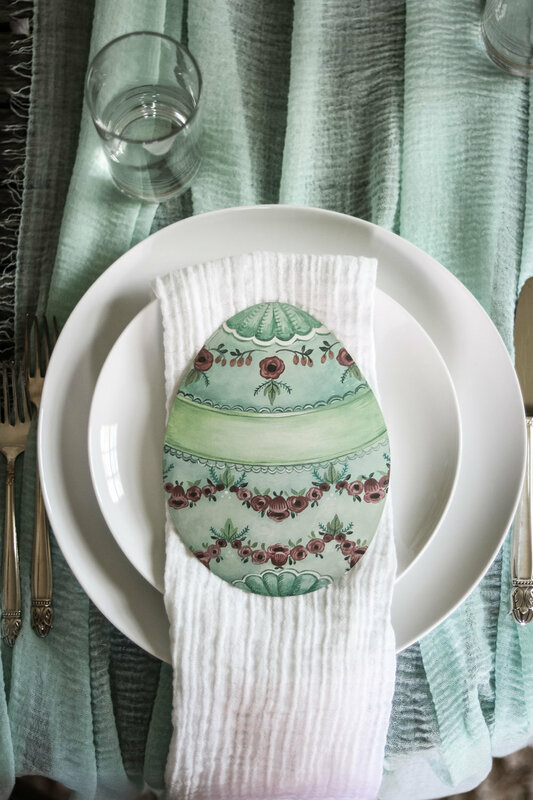 I absolutely love to accent with their table papers and these Easter eggs are absolutely gorgeous. These can we used as a place card by writing the name of your guest on the green band on the egg. How perfect! Next up are these GORGEOUS cotton-gauze “runners”. So here is the deal, these are actually headscarfs. Yes, you read that right. Real table runners can cost a fortune, and I love running they vertically on the table to create place-settings for two people which takes a couple “runners”. This beautiful aqua color, perfect for Spring, comes in a pack of three for only $9, but the other two colors are great also. I will be using them for other tables capes this Spring/Summer. I hope this helps you create a beautiful table for your Easter celebrate!